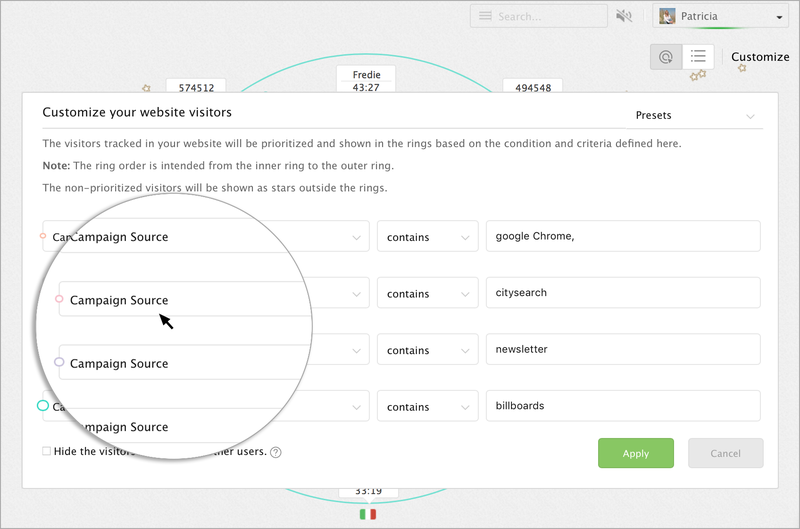 Integrate Zoho SalesIQ with Aweber and identify the visitors visiting your website through campaigns. 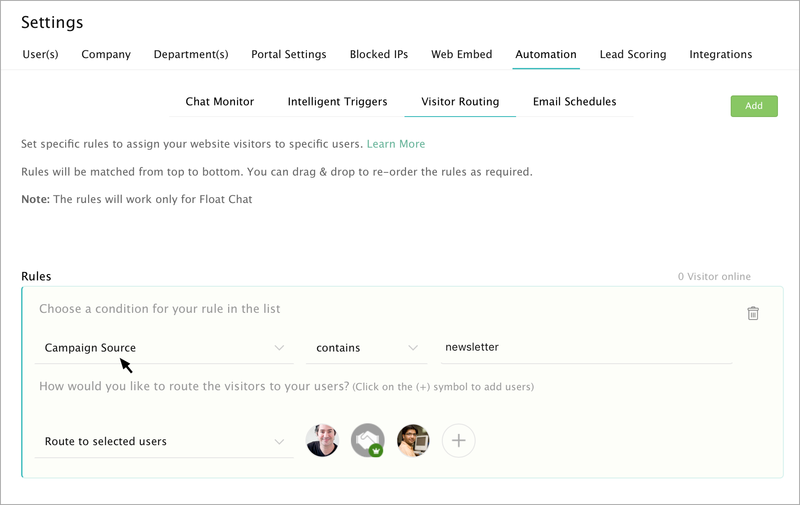 Add chat signatures to your campaign and get live chat into your SalesIQ dashboard. You can identify the website visitors from the Aweber campaign by adding the below mentioned SalesIQ parameter after the backlinks (which directs the customer to your website) in the campaign emails. In case if the URL contains the question mark (?) at its suffix then include the backlink preceded by an ampersand (&) symbol. If not, then include the backlink preceded by the question mark (?) as shown below. Also, ensure that you have embedded the SalesIQ code into your website source file to start tracking. Click here to know more about embedding the SalesIQ code. How to categorize website visitors based on Campaign UTM variables? SalesIQ allows the users to modify and set their conditions based on campaign UTM variables for prioritizing the visitors in their dashboard. In the visitor tracking operator console, click on the "customize". The "Prioritize your visitors" pop-up will then appear for prioritizing the visitors based on the campaign UTM values. How to initiate chat triggers based on Campaign UTM variables? In the "Settings", select the “Automation” tab, and click on the "Intelligent Triggers" to set your required Campaign UTM filters. Select the required "condition" from the list, followed by setting up your "criteria" for your conditions. Enter a value for the set condition. Then, "Select an action" from the list followed by setting up your required time to trigger the action. How to route visitors to the required users based on the Campaign UTM variables? In the "Settings", select the “Automation” tab, and click on the "Visitor Routing" to set your required Campaign UTM filters. To add the agents name in the “route to agents” section, click on the "+" symbol and enter the agent name in the textbox. To remove the added agents, hover over the agents and click "-" symbol. Is it possible to add click on chat button in my campaign emails? 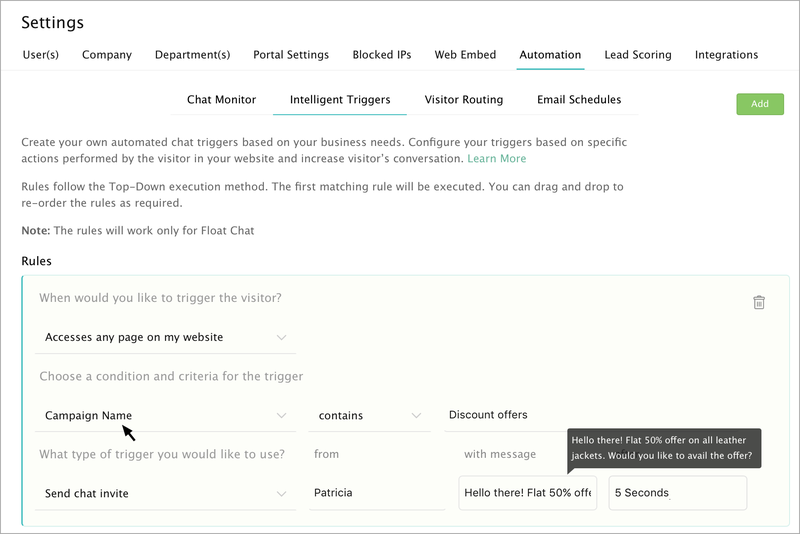 Yes its possible, Zoho SalesIQ is well equipped that you can add a chat button in your campaign emails and get chats directed into your SalesIQ. To know more about Signature Chat, click here.